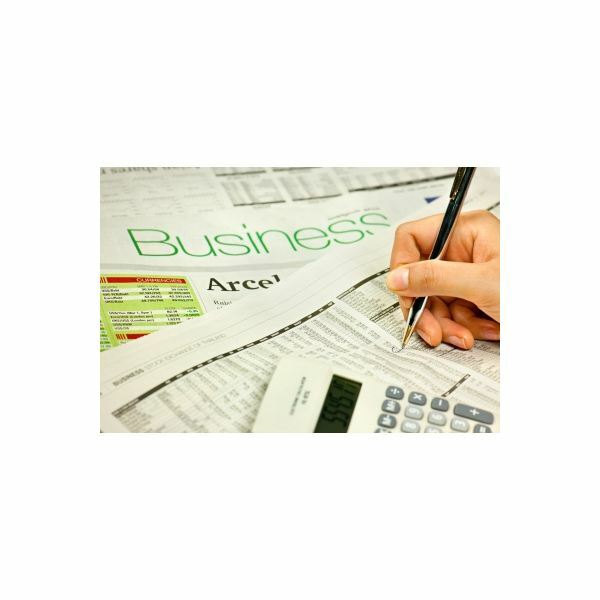 What Business Borrowing Options Are Available for an Entrepreneur? Borrowing to Start or Expand Your Business: What Are Your Options? Funding is indispensable for the establishment or growth of any enterprise. Businesses need funds to set up manufacturing or trading facilities, purchase stock, hire employees, and undertake marketing campaigns, before customers patronize the business and provide cash inflows. The two common ways of funding are equity and borrowing. Raising funds through equity involves offering a portion of the ownership in exchange for funds.The entrepreneur need not repay the equity raised, but has to part with the proportionate share of profits, and involve equity holders when making decisions. Many entrepreneurs as such prefer the business borrowing option that allows them to retain full control while making them liable to repay the loan with interest. The default option to borrow money for most entrepreneur is recognized moneylenders such as banks and financial institutions. Such institutions require the entrepreneur to submit a plan of how they propose to utilize the borrowed funds, and offer collateral such as property, gold, or other real assets top secure the loan. Approval depends on the financial institution’s evaluation of the organizational structure and base, plan, and strength of the collateral. The schemes and the amount offered by such institutions vary, and include conventional term loans, mortgage financing, and others. Regardless of the scheme, the entrepreneur has to repay a fixed equated monthly installment comprising of interest and a portion of capital every month, regardless of profit or loss. Conventional banks and financial institutions charge high rate of interest. Approach state economic-development agencies and nonprofit organizations to avail low-interest loans for specific purposes. The US Small Business Administration (SBA) offers small businesses access to loans on advantageous terms. SBA’s7(a) loan guaranty program allows loans up to $250,000 to finance fixed assets such as land and building, working capital, debt consolidation, and other purposes, besides financial specific needs such as reducing environmental impact. The SBA offers the creditor guarantee for 85 percent for loans up to $150,000 and 75 percent for loans greater than $150,000. SBA Employee Trusts program provide financial assistance for companies to launch Employee Stock Ownership Plans, and comply with Employee Retirement Income Security Act (ERISA). Standard Asset-Based Line that serves as a line of credit to finance cyclical growth, recurring and/or short-term needs. SBA’s International Trade Loan Program guarantee term loans up to $1.75 million for small exporters to acquire or develop capital generating long-term assets. SBA Export Express Program provides term loan or revolving line of credit to small exporters with less than 20 employees, to finance specific export orders or standby letters of credit, attend foreign trade shows, fund product brochures in foreign languages and other specific export related purposes. SBA’s Export Working Capital Program (EWCP) facilitates credit to finance working capital advances on export orders, and export receivables or letters of credit. Normal banks usually do not extend assistance for these activities. SBA and Exim Bank Co-Guarantee Program provide small exporters with export working capital loans up to $12,000,000 with collateral support. SBA and Credit Development Company’s 504 loan program provides small enterprises with net worth below $7 million and net profits below $2.5 million access to long-term, fixed-rate financing enjoyed by larger firms, at interest rates equivalent to favorable bond market rates. Stipulations allow purchase and improve land, machinery, and utilities, construction of new facilities or modernization old facilities, and payment of soft costs such as architectural and legal fees, environmental studies, and appraisals with such loans. One important point of note is that the SBA does not disburse loans directly. To avail SBA loans, approach a local bank or lending institution that participates in SBA programs. Venture Capital is money provided by professionals who invest alongside the entrepreneur in emerging and high-growth companies that have the potential to become giants. Investment takes the form of limited period equity, usually for three to seven years, during which time they expect a high return of 30 to 40 percent on investment. After the fixed time, they sell their holding either to the entrepreneur, or to other interested parties. Venture capitalists besides providing finance may also provide technical, marketing, and strategic support, and even participate in the management to safeguard their investment. Venture capital remains a major and convenient source of funding, especially for start-ups who do not have access to bank funds owing to unavailability of size, assets, and stage of development that conventional financial institutions stipulate. Venture Capitalists show interest in such high-risk firms to maximize their returns. The expertise provided by venture capitalists offsets the risks largely. An angel investor is an affluent individual who provides capital for a start-up, usually in exchange for convertible debt or ownership equity. Such individuals can join and form angel groups. Although terms vary from case to case, angel investors usually look at returns of 30 to 40 percent over a seven-year period. The term derives from a 1978 study by William Wetzel at University of New Hampshire, who first used the term "angel" to describe the investors that supported entrepreneurs looking for seed capital. Funding through angel investors bear close resemblance with securing funds from fiends and family, and the terms usually remain the same, with the only difference that angel investors usually fund much larger amounts than friends and family members. Angel investors differ from venture capitalists in that they employ their own funds, and usually remain passive investors, having no say in the management of the company. Some angel investors nevertheless do provide their expertise or support, for they tend to invest in ventures involved in familiar industries or technologies. 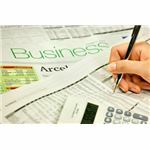 Regardless of the business borrowing option, entrepreneurs need to prepare a comprehensive plan that stipulates the requirement , nature and structure of the organization, personal and team qualifications and competence, and a SWOT analysis. Creditors also examine financial statements and accounts books, and ensure that compliance with all legal requirements. SBA.gov. “Loans, Grants & Funding." http://www.sba.gov/category/navigation-structure/starting-managing-business/starting-business/loans-grants-funding. Retrieved June 04, 2011. IVCA. “About Venture Capital." http://www.indiavca.org/ven_about.aspx. Retrieved June 04, 2011.